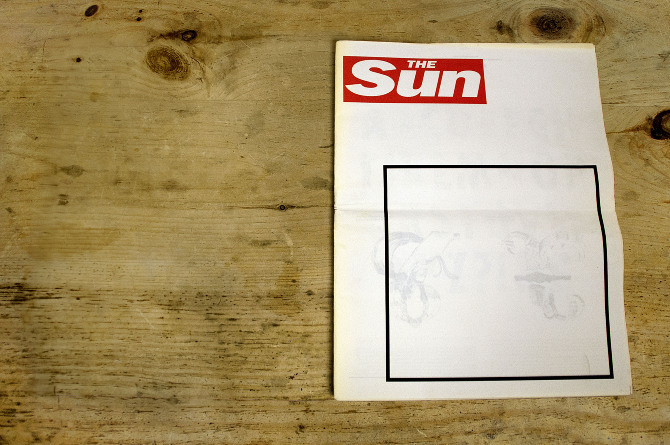 November's Newspaper of the Month is Neutrality vs. Sensationalism by Brighton-based illustrator and designer Jamie Eke. Jamie made the most of his digital tabloid and published two newspapers in one, for a clever typography project examining standards of journalism. 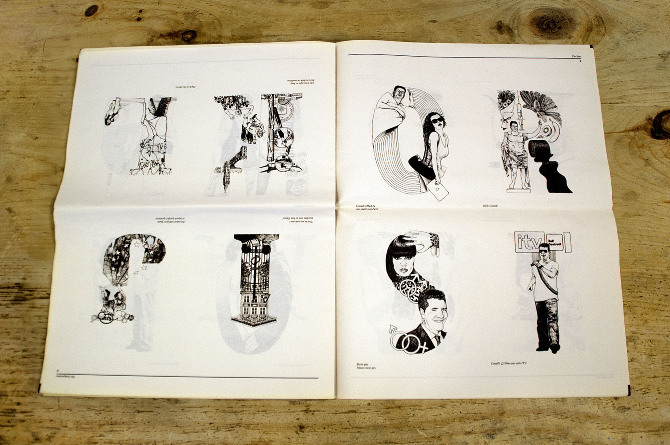 One side up the newspaper presents an illustrated alphabet depicting stories from The Independent; flip it round for The Sun. Two different worlds across one spread. [It] explores the contrast in nature of news coverage by the British quality press (broadsheets) and the British popular press (tabloids). 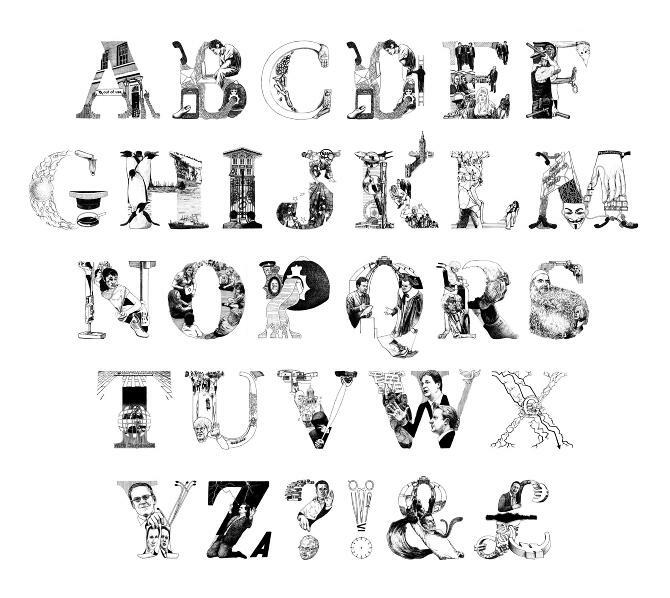 The typefaces both represent the month of April, 2012 - each character embodies a front page story; A = 1st, B = 2nd etc. 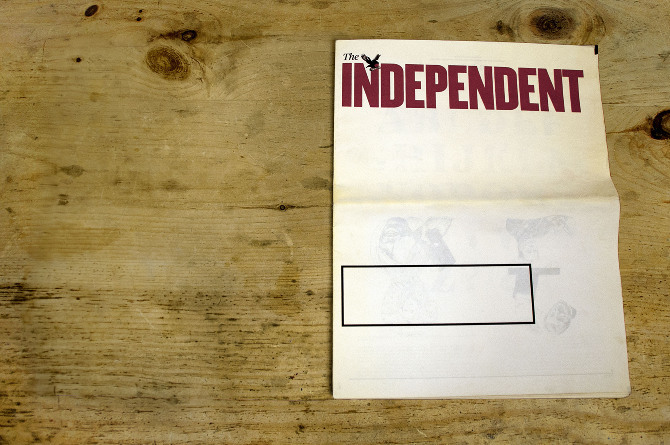 - however one corresponds to The Independent and the other to The Sun. The illustrations serve to demonstrate the contrast in priorities, including the much higher degree of personalisation evident in tabloids - containing many reports of individuals' (usually celebrities) circumstances and ordeals - as opposed to accounts of extended processes found in broadsheets. Jamie is also selling large format (60x80cm) limited edition prints of each of the typefaces, which come along with a copy of the newspaper. Get in touch with him at jamieeke@live.com if you'd like to buy one. For a closer look at the newspaper, and to see more of Jamie's work, visit his website. Congratulations Jamie and thanks again for printing with us! Every month, we give a £100 Newspaper Club voucher to one paper shared in our Newsagent. If you’ve printed a paper with us, share your newspaper (through the settings in your account) for a chance to win.